Welcome to Pop.Bop.Shop. My name is Molly and I’m thrilled you decided to stop by. I started this blog on January 4, 2009 as a New Year's resolution (you can read my very first post here) to pursue my passion for writing and photography, and to create an online destination where I could share all my discoveries. Over the past 10 years, Pop.Bop.Shop. has become a place where you can find the perfect restaurant or hotel for any occasion, the scoop on local hidden gems (boutiques, museums, tours, special events), online shopping deals, gift guides, book and movie reviews, travel diaries, home entertaining ideas and more. The goal of Pop.Bop.Shop. is to help you uncover amazing people, places and things in your own city or a new one. In total, there are over 700 restaurant reviews here on the site. I love helping readers pick the ideal place for special occasions, so if you need a date night idea, a place to take your parents while they are in town, or a location for a private event - just shoot me an email! 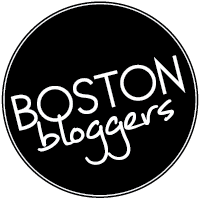 Since 2010, the blog has consistently been named to the top five “Best Local Blogs” on the Boston A-List. In even more exciting news, I was cast in a television show called “The Foodie List” which premiered in March 2016. The show has aired in Canada, Europe and Asia. You can read all about my experience filming the show - casting, hair & makeup, shoot day 1 and shoot day 2. I am a lifelong Bostonian. I grew up in Newton, MA and went to college just one hour south of the city at Wheaton College in Norton, MA. Since then, I’ve lived in Inman Square in Cambridge, Oak Square in Brighton, and I currently live in Watertown with my dog, Scout. 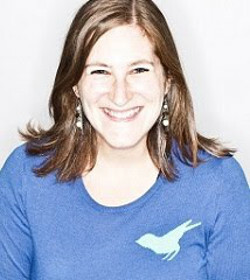 I work full time as a vice president at a public relations agency in Kendall Square in Cambridge, MA. I am in the very cool and interesting position that I spend a good chunk of my day reaching out to bloggers on behalf of clients and then when I return home, I read my own email inbox with messages from people interested in Pop.Bop.Shop. It’s fun living in the center of the Venn diagram. Though I’m a Beantown girl to the core, I spend a great deal of time in Miami, FL, since that’s where my family lives. If you have recommendations for places I should check out on my next visit, please send! As you can clearly tell, food is a major part of my life. I’ve been a vegetarian since the age of 13, though my dad calls me the “junkatarian” because for the first . . . mmm . . . 10 years of my vegetarianism, I wasn’t interested in eating any vegetables. Whoops. I love hearing from readers; you all have become the absolute best recommendation engine! Email me anytime at molly@popbopshopblog.com. You can also find me on Facebook, Twitter, Instagram and Pinterest (and LinkedIn if you’re feeling fancy).